We all know that exercise is good for us but we also need to know that not all exercises are good for everybody and that some exercises are bad for most of us irrespective of our fitness level. A good example of this is the current fastest growing fitness pursuit (already 10000 plus venues and growing!) – CrossFit training. 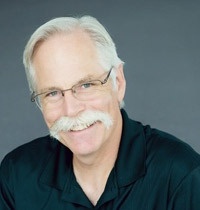 We have provided a link below to an enlightening article from Stuart McGill in which he is interviewed about CrossFit. Stuart McGill is a leading authority on the mechanisms of injury to the body, in particular the the discs of the low back. I have attended two of his weekend seminars in the past, have one of his books (Ultimate Back Fitness and Performance) and since these seminars changed aspects of my advice to patients in terms of which exercises to do and not to do to preserve healthy discs. Unfortunately many people involved with treatment and or giving exercise advice are unaware of this information. Virtually every time I go to the gym I see unfortunate exercise techniques being shown to new gym recruits. The following is a summary/review of the interview with just a little added from me. Some of the activities are questionable for long term spinal health. High repetitions/reps with high disc compression, i.e. 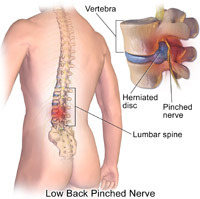 under load can and does cause disc damage and vertebral end plate fractures. CrossFit is highly competitive, the aim to be “the fittest on earth” – but for how long ? Not all CrossFit participants are injured, but a full biomechanical pre-screening is essential for injury prevention. Some people are just not physically/anatomically able to do some of the exercises with the correct form to avoid injury. For example Olympic deep squat lifting is only appropriate for those few people with “special anatomical gifts” i.e. amazing hip and shoulder girdle flexibility…which includes full spine flexibility. Disc bulges and vertebral end plate fractures can be a consequence of physical inability to do compressive exercise with perfect form. A risk area is too many repetitions done to fatigue which compromises form even in the fittest person. The lumbar spine (low back) is strongest and safest from injury when in a neutral curve (lordosis), and is relatively safe in partial flexion when loaded – as long as it does not move/is locked. The lumbar spine (discs, joints and vertebra) is at high risk of injury when flexed, loaded (compressed) then moved into extension. And worse still if moved into extension with rotation/twisting. Repeated reps with this high risk movement delaminates the collagen fibre layers of the disc that form the outer rings of the disc. Cracks through the layers allow the gel – like nucleus to creep and seep through and create a bulge or if worse a prolapse as the gel cannot be contained. Physically/anatomically able Olympic lifters can do deep squats safely for their spine and have healthy backs (although do get knee, hip and shoulder injuries). They toughen their discs over time and practice with only a limited number of lifts seeking perfect form. CrossFit participants doing vigorous repetitive movements requiring too much flexibility (e.g. burpees) have a softness in the disc leaving them open to injury. Many CrossFit participants have very poor technique and they are doing a high number of reps and sets. CrossFit programming is based on going to failure, with speed and with high load. In a survey of the police, firefighters and SWAT teams it was found that the “fitter” ones got hurt more. They were training harder and to failure thereby compromising form / technique. Those training more moderately were a little less fit but were more injury resistant (so kept fitter for longer). Long term fitness and health is about technique and moderation, with long-term gains in cardiovascular health as a bonus. Conversely no training at all is not a good idea…many younger people are weak, soft and untrained – this is also a recipe for injury. Keep the spine stiff and fixed with high compression lifts. Focus on good / “ perfect “ form – movement competency. Assess participants for their biomechanics capabilities – imbalances and joint movement restrictions. There are a huge variety of fitness classes out there, all of them can be fun and inspiring but not all movements that they include are spine friendly. There is no one-size-fits-all training program, listen to your body and learn what suits your body best, if you are in pain after or during exercise it’s not good for your body. Whilst no exercise is very detrimental for our health, it can be said that too much exercise is also bad for us.